The Mail Exchange Hotel building is an iconic Melbourne landmark. Standing strong for over 100 years, we make the most of any opportunity to tell its incredible story. Sir Robert Hoddle was the first Surveyor General of Victoria. He was known for designing the ‘Hoddle Grid’ – the layout of Melbourne’s inner streets. After acquiring the land in 1837 as his first public action of Crown land in Victoria, Hoddle constructed a two-storey Georgian house, which he lived in until he died in 1881. At the turn of the century, the Post Master General’s department acquired the land from Sir Hoddle’s descendants. Then in 1917, the Mail Centre was transformed into a bustling post office to modernise the postal system and relieve congestion. Throughout the past century, the building has been renamed many times over. 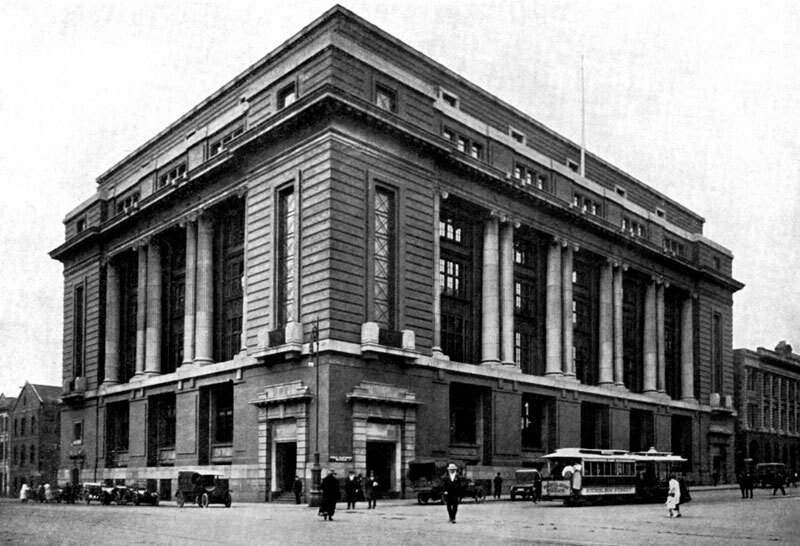 The Chief Parcels Office, the Parcels Post Building, the Postal Workshop, the Melbourne Mail Centre – and in 2010, the Mail Exchange. Incredibly, the original signage is still visible on our building today. Want to know more? Then give us a call or visit us today!